Your comments are needed by Aug 1 to stop removal of Endangered Species Act protections for grizzly bears! 1. Do not attempt to de-list disconnected grizzly bear populations individually, at only hundreds of bears each! 2. Wait until at least 5,000 bears are again biologically connected to one another in the six Lower 48 ecosystems, as science requires! 3. Continue securing bear habitat in the Northern Continental Divide Ecosystem and elsewhere to sustain recovery! 4. Do not relax mortality quotas to allow sport hunting of grizzly bears and increased agency trapping! 5. 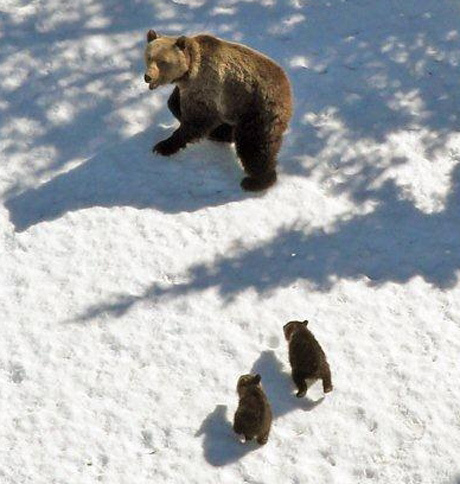 Keep ESA protection of grizzly bears in place! THANK YOU for taking a few moments TODAY to keep grizzly bears around TOMORROW!